Atom technologies is a Financial Technologies Group Enterprise that has been actively offering various payment facilities over the Internet with 100s of payment options through Atom Paynetz, IVR, Mobile Applications, Atom wallet Service and POS. At present the payment gateway processes over 15 million transactions with more than 4500 strong merchant tie ups across various sectors in the country like Government , Utility, BFSI, DTH, Education, Entertainment and a lot more. CC Avenue can process on almost every kind of card along with bank transferability and USD payment. It is considered as the largest payment gateway in India with lowest processing rates and vast number of payment options. It also provides secure link (SSL) in between the websites, various Credit Card issuing authorities, leading Banks and the payment gateway providers. PayU provides the highest conversion rate of 12%, multiple payment options and an efficient 24×7 customer service team. Offered features by the site include 1 Click checkout, iFrame solution for secure collection of card data, Payment analytics, IVR payments and Email Invoicing. Some of the renowned clients added to its list are big shots like Jabong, Snapdeal, Tradus, Bookmyshow and so on. DirecPay is a TimesofMoney Service that also offers a wide range of affordable payment options along with assurance of T+2 settlement cycle. The Multi Bank EMI option supports major banks like HDFC, Citibank for EMI conversion. A few other features include dropped transaction tracking, automated reconciliation, real time MIS and on demand analysis and reporting tools. 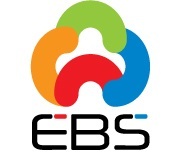 EBS is a compact and authentic gateway service providing inexpensive plans. It also comes with divisional plans with provisions for various discounts. You are allowed to select from the wide array of customer plans as per your necessities. Zaakpay has been offering both mobile (Mpay) and web (Webpay) zaakpay based payment gateway services. A few of its rich features include app payments facility for Android and iPhone applications with no additional fee. It charges only a fixed one time setup fee and Annual maintenance charges. Some of the big shots in the client list include Mobikwik, Ziptrips.in, Oravel.com, American Swan, Giftery etc. 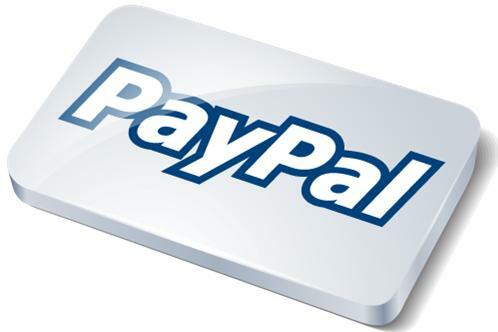 Paypalis another prominent gateway successfully benefiting international clients. It also offers currency conversion facility, cost of transaction along with providing additional fees, the reason being, it does not link with Indian currency. Citrus is supported by Sequoia Capital with some of the most unique features in the market like Single citrus click checkout, In-App purchases etc. at a zero setup cost and low TDR charges. You can enjoy the wide range of payment options after effectively signing up with Citrus. You can access their branded payment pages from most devices. One of the most interesting features it provides is that in case any transaction fails, you find yourself on the payment page itself instead of the basic information filling page. PayZippy is the creation of the technology team of the online marketplace Flipkart. This payment gateway can work on both web and mobile for cardpay-zipy payments. Though the pricing is almost same, the mode of charging is different. However, there are no sign up or annual maintenance fees required of the users. In case of International cards, it charges only an additional fee of 1.5% over and above the domestic credit card pricing. EMVANTAGE lets online merchants the freedom to sell through multiple channels like various Social Media. Several models are also developed to increase revenue for the Online Merchants along with analysis and reporting tools like Transaction alerts, Failure analysis, etc. A few of the features available on the portal include Facebook Buy button, iFrame payment box, Chargeback support, Payment remittance tracking, Auto Capture option, Void and reversal option. Let us know if we have missed on any of the popular gateways in India in the comment box below.